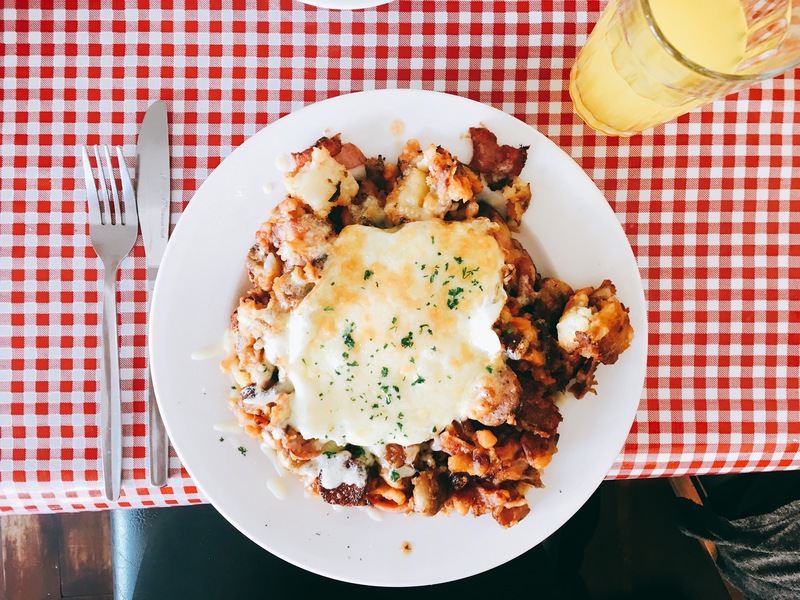 Something of a Brighton institution and for good reason, Billie’s has been serving up the naughtiest hashes this side of Amsterdam since forever. If you have ever walked along Upper North Street on a weekend and send people lined up along the street outside a blue door this is the reason why. So popular that there are queues out the door every weekend. If you’re lucky enough to get in, it’s totally worth the wait. 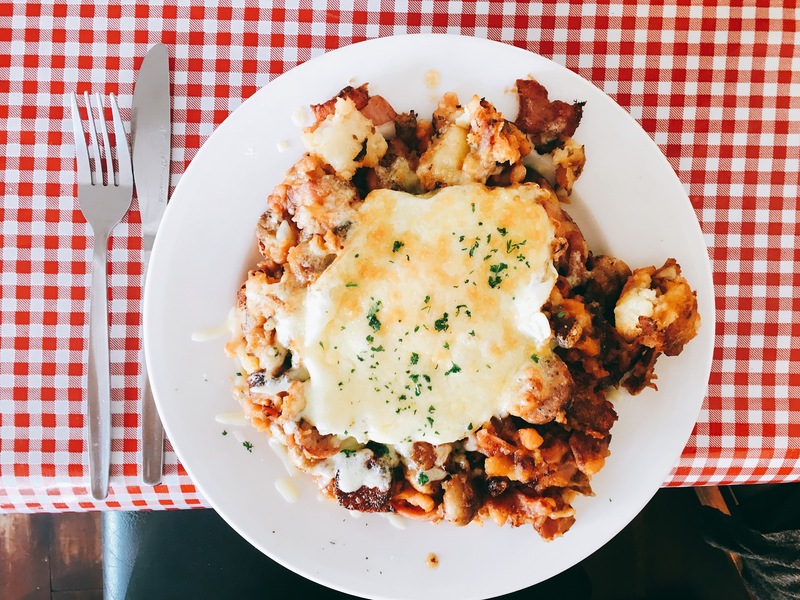 I went for the classic farmhouse hash with sausage, bacon, beans, onions and mushrooms. 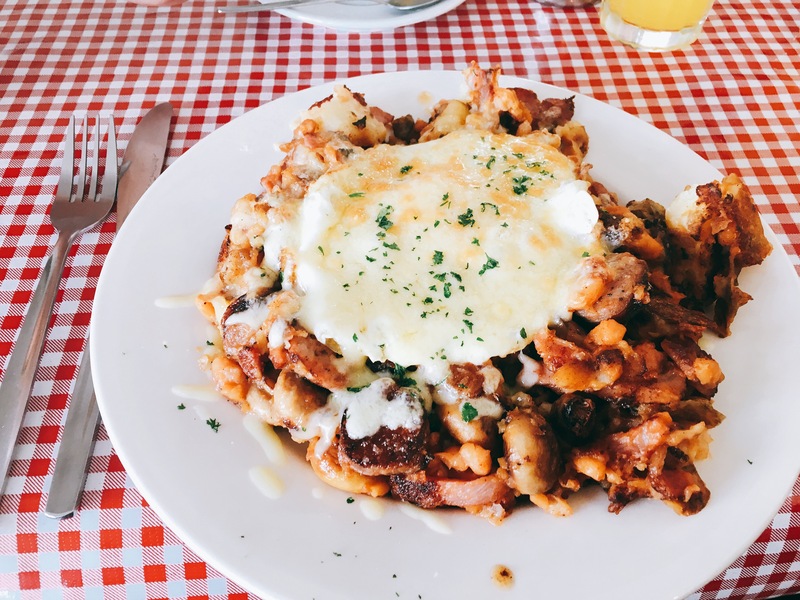 If you’ve never had a hash before, it’s fried cubes of potato mixed with the other ingredients then topped with a fried egg and cheese and then grilled. It’s naughty breakfast heaven. The first time I ate this I realised that all my perfect breakfast had been missing was cheese. The photos don’t actually do it justice for how massive it is. The service was great, I had called ahead earlier to ask if Stanley could come and was advised that small well behaved dogs are allowed when it’s not too busy (it’s quite a small cafe so there is little room when packed out with hungry breakfast seekers). The hash was perfecttttttt and I ate every last morsel. The Full English is also massive and got a thumbs up from my boyfriend. 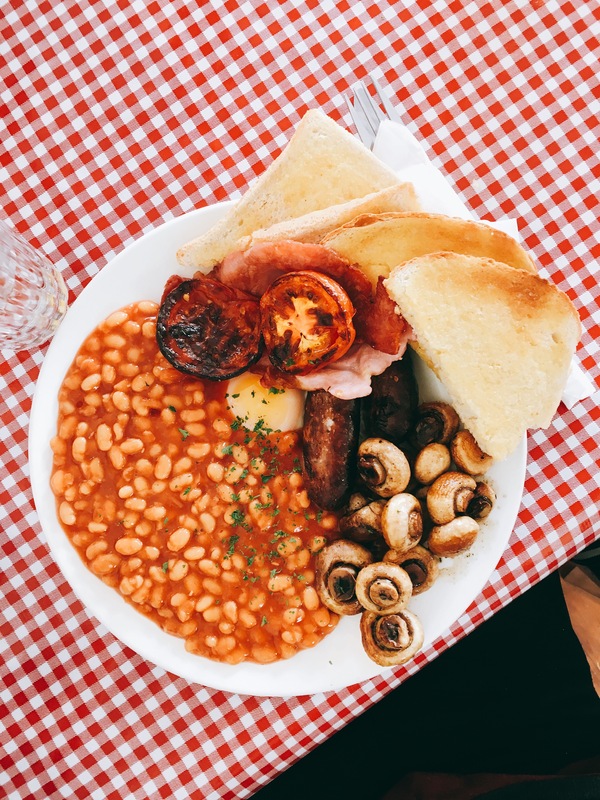 This one also made it onto my Brighton Girl best breakfasts list, you can see the full list here.